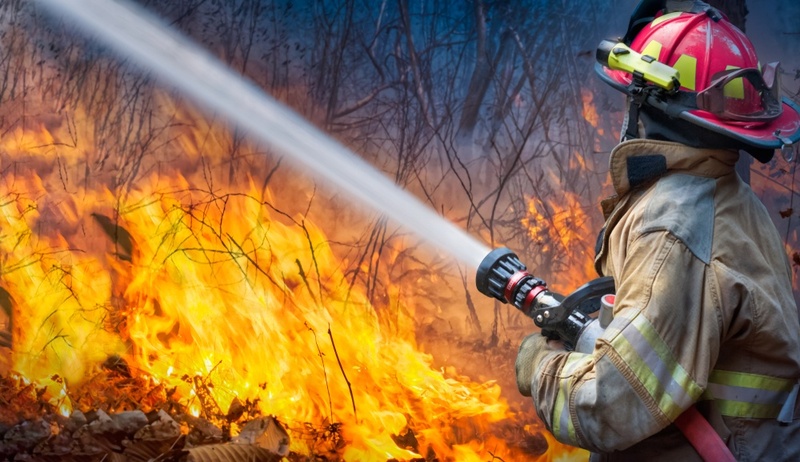 Unfortunately, every year, particularly in the summer, it is common to see news headlines about wildfires destroying hundreds of thousands of acres of land. These are tragically accompanied by the loss of forests, towns, property, and human life. And if it seems like 2018 has been an especially bad year of forest fires, it has been. The National Interagency Fire Center reports that in 2018, there have been 43,264 large fires that have spanned 6,508,602 acres. As of August 28, 2018, there are currently 106 active fires covering 2,352,062 acres. Thankfully, the U.S. Federal Government has made provisions for how it will aid communities and federal lands in suppressing wildfires and preventing further damage. The federal government is responsible for supporting wildfire fighting in lands that are ordinarily overseen by the government, including national forests and national parks. State governments manage all other wildfires. While there are less federally managed wildfires, the wildfires on federal lands are substantially larger, requiring more federal attention and resources. What does this mean for companies who provide wildfire suppression services or disaster relief related to wildfires? 1. There is an urgent need that does not seem to be going away any time soon. Our perception from the news and the media coverage are true: wildfires are getting worse. While technological advancement and the science of wildfire prevention has kept the average number of wildfires at bay, several harder to explain factors are contributing to the rapid growth of wildfire size. 2. Your company or organization could be used to save American lands and human life. The government’s decision to increase spending is a clarion call for help. Our country has a great need, and you have critical resources at your disposal. 3. Educate yourself on how your company could tap into the opportunities that are available for you to contribute. Through a contract with the General Services Administration, this process is streamlined, and companies are granted the ability to actively seek these opportunities. For more information on how you can obtain a GSA contract, contact Winvale. We'd love to talk to you about how you can help decrease the severity of this wildfire epidemic.